WHAT then shall we say about a professor whose falsity goes to the heart of his academic output and whose influence on his students is insidious? THE CONSENSUS in the matter of Joseph Ellis -- that his sins cannot go unpunished -- seems fair. The fictions Ellis told and retold about himself were not just little white fabrications. They were a kind of theft. Ellis cloaked himself in valor and acclaim he had no right to, valor and acclaim for which other men paid. He in-vented a combat record in Vietnam and a civil rights history in Mississippi; he claimed he'd been an antiwar protester at Yale and a football hero in high school. None of it was true. Coming from almost anyone, such lies would be deplorable. Coming from a historian whose first loyalty is supposed to be to the truth, they are scandalous. Last week. Mount Holyoke College, Ellis's employer, launched a formal inquiry; it has already announced that he will no longer teach his course on the Vietnam War and American culture. To many, that doesn't go far enough. "A scholar's right to privacy does not include the right to deceive his students and the public," wrote the Los Angeles Times. "Ellis should go." The Chicago Tribune asked how any college "could justify retaining a faculty member guilty of such grievous violations of the truth." On the Globe's op-ed page, historian David Garrow demanded that Ellis be "barred from ever again teaching history." But if we can all agree that Ellis shouldn't have told these lies and should pay a penalty for having done so, can we also agree that they aren't the worst lies he could have told? He deceived his students and others about his re-sume, but there is no suggestion that his scholarship has been anything but scrupulous. His Pulitzer Prize was honestly earned; his books are not tainted; the American history he taught in his classroom appears to have been exemplary. No matter, we seem to be saying. When it comes to the truth, colleges and universities must not cut corners. A professor who lies cannot be tolerated -- even if his lies are irrelevant to his academic work and do no lasting harm to his students. 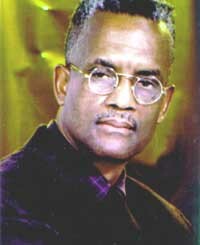 Martin is a professor of Africana Studies at Wellesley College. A few years ago, he was at the center of a media storm when he began requiring students in his course on African-American history to read the Nation of Islam's poisonous anti-Semitic screed, "The Secret Relationship Between Blacks and Jews." Published in 1991, the book charges that Jews, as the "key operatives" in the African slave trade, bear "monumental culpability in. . . the black holocaust." No reputable scholar regards "The Secret Relationship" as anything other than a gross perversion of history; Harvard's renowned Henry Louis Gates Jr. described it as "one of the most sophisticated instances of hate literature yet compiled." Selwyn Cudjoe, the Caribbean scholar who chairs Martin's own Africana Studies Department at Wellesley, called it "patently and scurrilously anti-Semitic." Martin assigned the book not to expose the demagoguery of the Nation of Islam or to teach his students how to sift truth from falsehood. He assigned it because he wanted them to believe that Jews were responsible for slavery. Martin, it turned out, was an anti-Semite himself and was using his classroom to implant his bigotry in his students. He confirmed his hostility in the fall of 1993, when he published "The Jewish Onslaught," a book so hate-filled that a majority of Wellesley's faculty signed a statement repudiating it "for its racial and ethnic stereotyping and for its anti-Semitism." Now, if Ellis deserves to be punished -- perhaps even fired -- because of yarns he told about his own record, surely Martin, who fills his students' heads with some of the most toxic lies imaginable, has no business on a college campus. Yet Martin has faced only the mildest sanctions. He was denied a merit raise. The history faculty stopped giving inter-department credit for his courses. And that was it. Wellesley's president publicly criticized Martin's book but explicitly promised not to interfere with his teaching. His course was not canceled; indeed, he teaches it to this day. As an American, Martin has freedom of speech. As an instructor, he has academic freedom. But free speech is no defense to libel. So why should academic freedom protect a professor who teaches pernicious lies? It is true that Ellis admits that what he told his students was false while Martin swears his canards are sound. But it is also true that Ellis's fibs were harmless, while Martin's are vile and malignant. If the one is an intolerable outrage, how can the other be anything less? Is it only admitted liars who must be made an example of while unrepentant ones are indulged? Just what is the lesson of the Ellis affair, anyway?